It’s been two months since I began my tenure at the office and I have to admit: I’ve got design makeover fever. On a daily basis, I’m scouring the web for new and exciting content, merchandise, and design ideas to share with House of Funk followers. 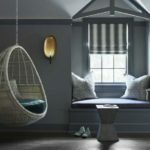 From the trendiest colors of the season to ways to spruce up your home with a little greenery, the inspiration is endless. This weekend, I decided to give it a go, starting with a small, manageable project: styling my bedroom bookshelf. The only “organized” thing about my bookshelf, in my opinion, was the books. They were categorized by theme, but aesthetically, everything looked jumbled and unattractive. 1. Remove books: The old saying “less is more” applies to your favorite page-turners too. 2. Pick a simple color scheme: I chose three essential colors to incorporate into the shelf: brown, orange, and green. Any more colors would have looked messy and distracting. 3. Stack books backwards: As you can see in the photo, I flipped my books so that the binding faced the other way. I don’t own books with the same color scheme but the pages match. This creates a sense of unity on the shelf. 4. Showcase personal mementos: I walked around my house gathering trinkets that would tie in with my color scheme:a kaleidoscope made of wood, glass jar, wooden tray, and neutral-colored candles did the trick. The placement of these items is just as important as the placement of the books. Make sure to vary heights and think in odd numbers as that’s more visually pleasing. 5. Minimize clutter: The biggest problem with my bookshelf was the lack of room for storage. 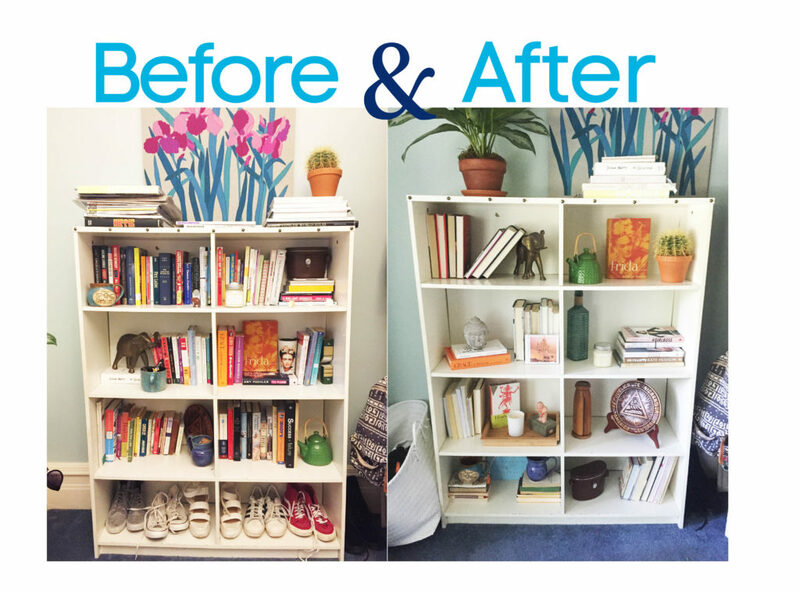 This makeover helped me realize that I don’t need to put all of my books and trinkets on display. Be thoughtful about what you’re choosing to showcase as it’s a personal reflection of your style. Edit down, curate your favorite finds into a design that tells a story, and keep it simple.